Trailer jack as supplement to bobtail has a great advantage in a very short length and a high manoeuvrability. 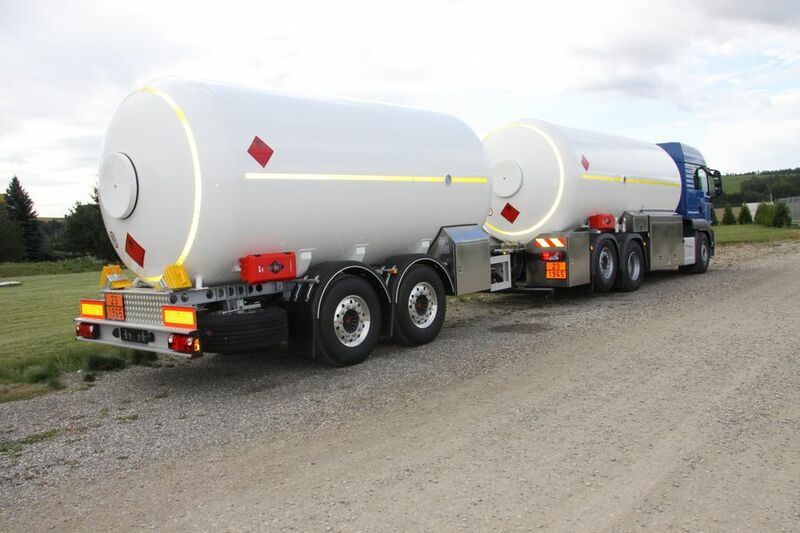 The train consisting of tanker with trailer is very short. The tandem trailer compared to the classical solution of the twist semitrailer allows lifting of the front axle and thus sparing tires.